In my dreams they shout Wa-wa! Wa-wa! Its like wow and bravo mixing together and it is murmured, thrown and shouted during poetry and music performances in Pakistan and India. It gave a great atmosphere and instant feedback to our performances at the Alchemy festivals this past week. Thanks to Highlight Arts and the British Council, Jim Carruth, Gerry Cambridge, Kathrine Sowerby and myself spent an intense but brilliant week with three Pakistani poets culminating in the performances at the Mitchell library, Glasgow and the Southbank Centre, London. The pakistani poets were Kishwar Naheed a famous and outspoken feminist poet, Dr. Khalid Javaid Jan a political poet whose Urdu poem I am a Rebel was used as anthem by the resistance movement when Pakistan was under martial rule in the late 1970s; and Afshan Sajjad, an educator and poet who is currently head of the Urdu department at the American school in Lahore. Trans-creation is what we ended up calling it. Basically we did not ‘translate’ from Urdu in the original sense of the word but listened to the Urdu language poets, who all spoke English, explaining the idea, mood, style and language of their poems in detail, as well as listening to them read in Urdu and looking the poems on the page. The process was fascinating and I surprised my slo-mo-poetry-self with how fast I managed to produce work to the tight deadline. In time I hope we’ll be able to show you some of the poems in print. The collaborative music pieces created by Sara Kazmi and Sarah Hayes were a beautiful combination of their voices along with music from folk traditions of Scotland and Pakistan. 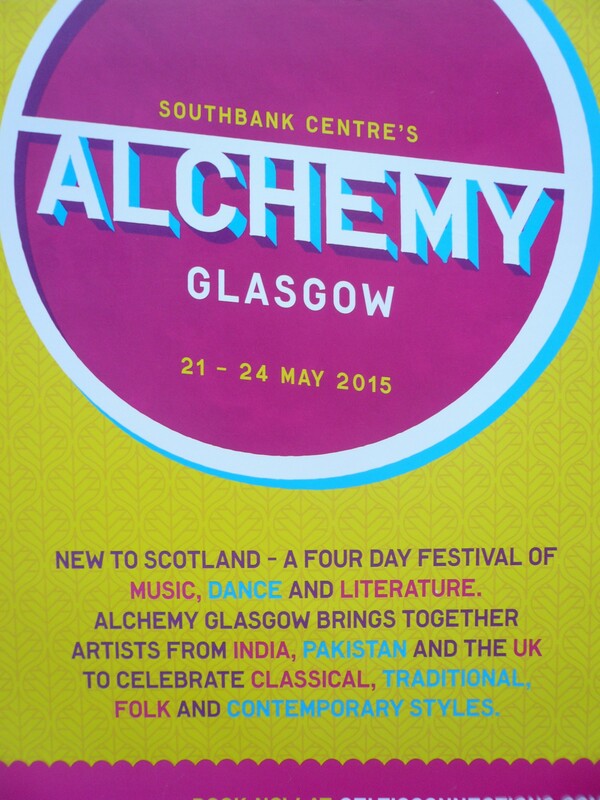 I’ll definitely look out for the Alchemy festival next year as I’m sorry not to have seen more performances. Fingers crossed we’ll all make the trip over to the Lahore literature festival; in my dreams they shout Wa-wa!